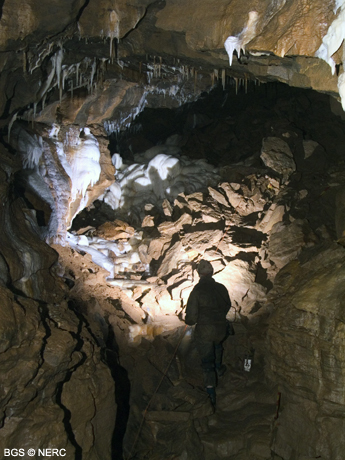 Local geology has produced a typical Mendip cave, with a steeply descending entrance, often levelling out at depth and ending in a sump. Few Mendip caves exceed 150 m in depth or a few kilometres in length, but what they lack in length or depth, they make up for in quality or variety with noisy streamways, fine grottos, squeezes and large chambers, often all in the same cave. Most of the largest known caves are in central Mendip and are usually found at one of the stream sinks or the resurgence of the system.